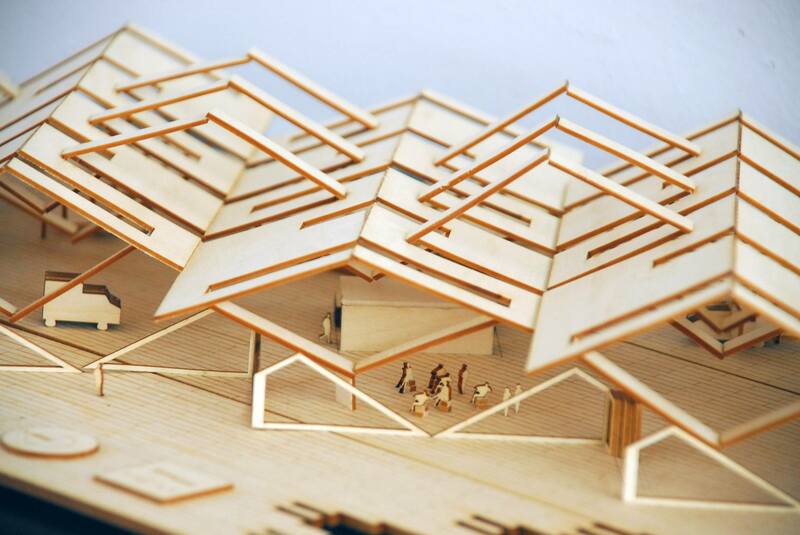 AMES, Iowa — Iowa State University third-year architecture students Deysy Cruz Escobar and Alice Tosi won the 2019 Richard F. Hansen Prize in Architecture awarded by the ISU Department of Architecture. Iowa State alumni Richard F. and Barbara E. Hansen established the Hansen Prize in 2004 to recognize the winner(s) of a design competition held in conjunction with the Richard F. Hansen Lecture in Architecture. 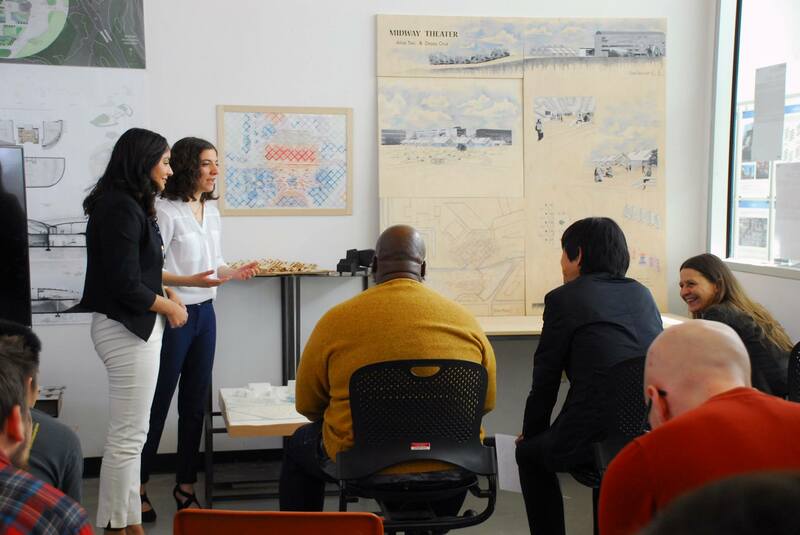 Jurors for this year’s competition included guest speaker Yoshiharu Tsukamoto, cofounder of Tokyo-based Atelier Bow-Wow; architecture department chair Deborah Hauptmann and professor Mitchell Squire. 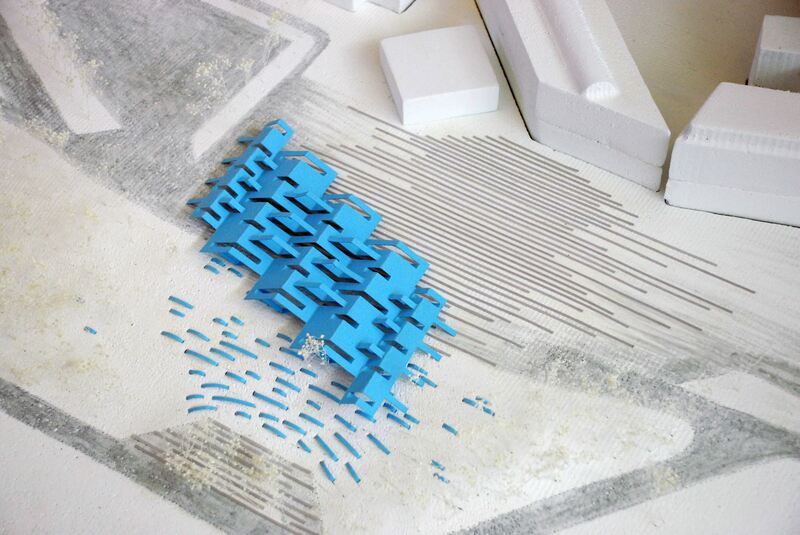 Eight students presented projects completed in the fall 2018 architecture third-year studio sections taught by assistant professor Firat Erdim and lecturers Roman Chikerinets, Leslie Forehand, Ayodele Iyanalu and Kevin Lair. 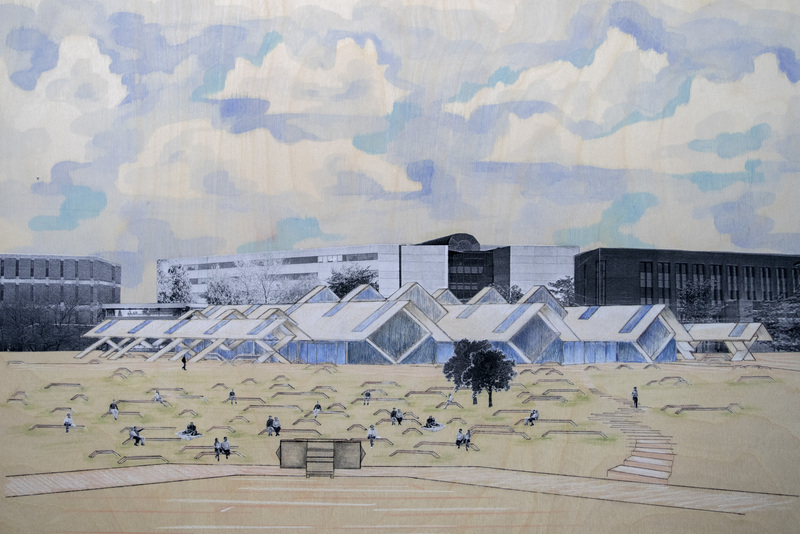 Cruz Escobar, Des Moines, and Tosi, Cedar Rapids, received the top prize for “The Midway Theater,” their response to Erdim’s assignment to create an “institute of choreography” on a site adjacent to the College of Design on the Iowa State campus. “‘Choreography’ comes from the Greek choros, which can refer to a dance floor or the activity of dancing itself. We were to envision our site (the parking lot and hill west of the college) as a choros,” Cruz Escobar said. The team’s use of analog methods and media, though “time-consuming and unforgiving,” set their project apart, Tosi said. 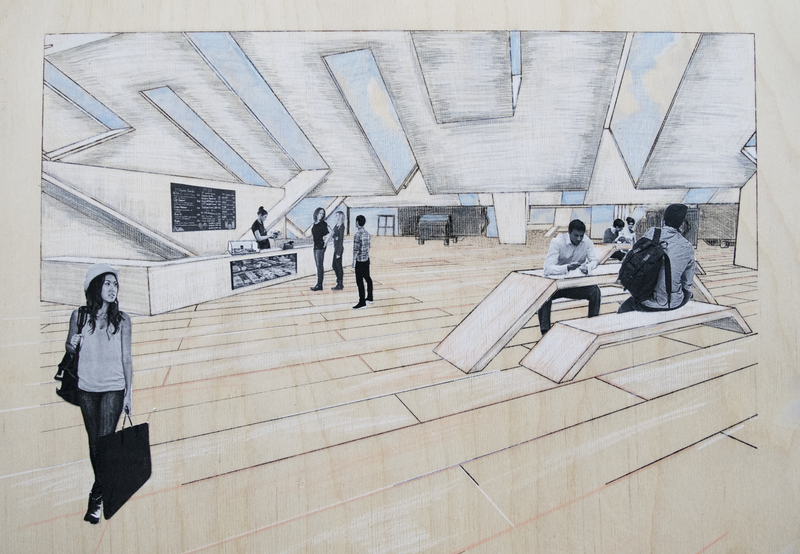 “We used digital media followed by hand transferring, painting, drawing and collaging to create unique final drawings. These techniques allowed us to present our concept in a poetic manner, which reflected the optimism of our concept,” she said.